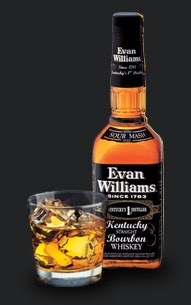 Evan Williams is made by Heaven Hill Distilleries, the largest independent family-owned and operated producer and marketer of distilled spirits in the United States. The simple black and white label is similar to that of Jack Daniel's. However, Evan Williams began making the whisky bearing his name in 1783, while Jack Daniel wasn't even born until 1850. 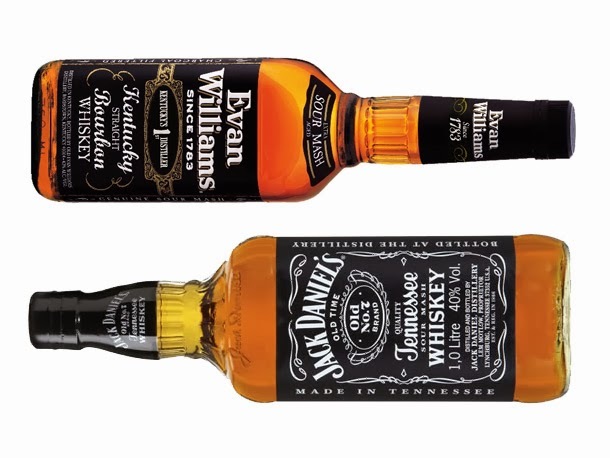 Evan Williams Black Label is the third bestselling American whisky in the U.S., behind Jim Beam White Label and Jack Daniel's. Evan Williams is cheaper than either of the other two Top Three whiskies, though I think it tastes better than either of them. Tight regulations, tough competition, and efficient, consolidated production have made American whiskey the best booze value on the planet. Even in the $15 range, there are plenty of good choices — Jim Beam falls in that range, and Jim Beam is a wonderful whiskey. 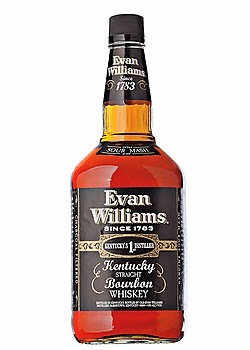 Even better, though, is Evan Williams — hands down the best cheap liquor we tasted (and at 86 proof, the only one higher than the legal minimum of 80 proof). A complex nose — we picked up things like yeast, dill, corn bread, ash, and toasted coconut — is only the overture. On the palate, it's impressively thick and chewy, with a grainy sweetness balanced out by tannins that only develop with long aging. We must admit that we find this whiskey enormously comforting — not just what's in the bottle but also the very fact that it exists. Any country that can turn out something this serious at this price is in some fundamental way doing okay. Given the flavor of this, it’s shocking how cheap it is. The folks at Heaven Hill know how to give you a bargain (just check out the Elijah Craig 12yr) and this is another stellar performance for them on the cost benefit scale. While some have made complaints about the lack of complexity, I find that the “enjoyability” and the clear production value of this product leaves me with no other choice but to recommend this as a staple bourbon for your bar. 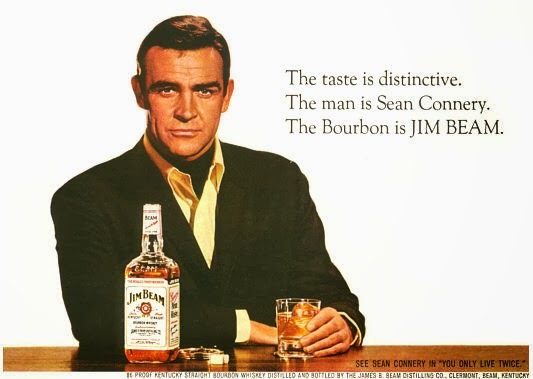 John Hansell has stated that “Evan Williams is a sophisticated whiskey for its price: smooth, a great aroma, and neither gets lost in nor dominates a cocktail, a classic table bourbon.” Table bourbon indeed! If you have a long night of relaxation ahead of you (and you don’t want to worry about drinking away the all your expensive stuff), think about picking up a bottle of the Black Label. Evan Williams “Black Label” lays its cards on the table right from the start, but there’s a great deal of quality here. It’s not particularly complex stuff, but who cares. 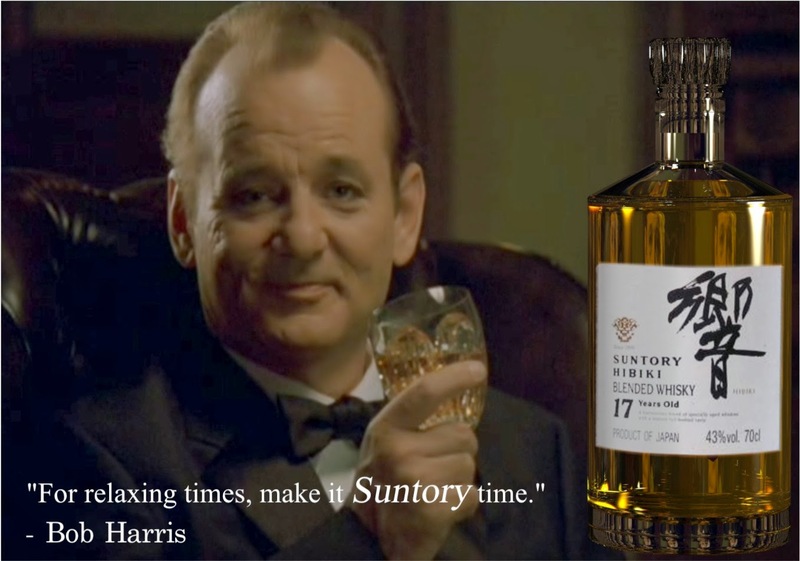 It’s accessible, drinkable, and has a delicious combination of sweetness and wood that would appeal to a broad audience. Simply put this is well made stuff at a great price. Heaven Hill once again shows us that really good whiskey doesn’t have to be expensive. I’ll drink to that! If you like bourbon, do yourself a favor and spend 10 or 12 bucks and give Evan Williams Black Label a try. At worst, you're out 10 or 12 bucks. At best, you've discovered a cheap and tasty bourbon to keep around the house.